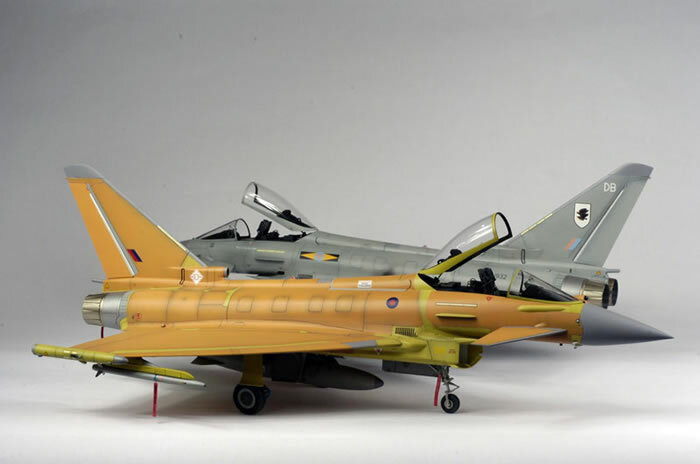 This is Revell’s 1/32 scale Eurofighter Typhoon built to represent an RAF aircraft in its ‘unfinished’ state as the aircraft are seen for their first flights. 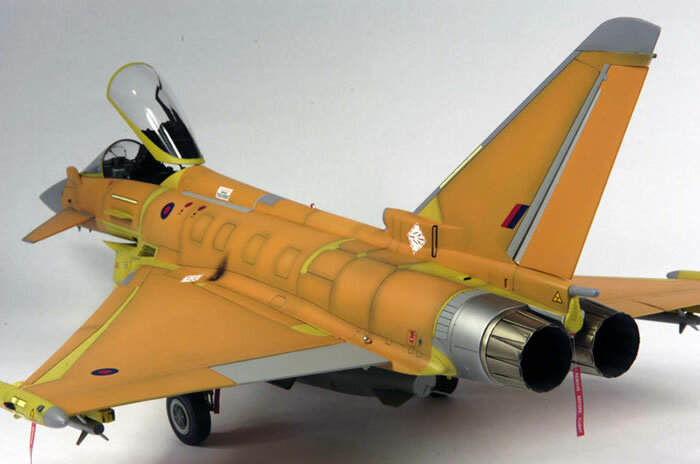 The colours are mostly Tamiya, cockpit green mixed with white for the chromate areas and a mix of deserts sand, red, yellow and white to get the orange/brown colour. 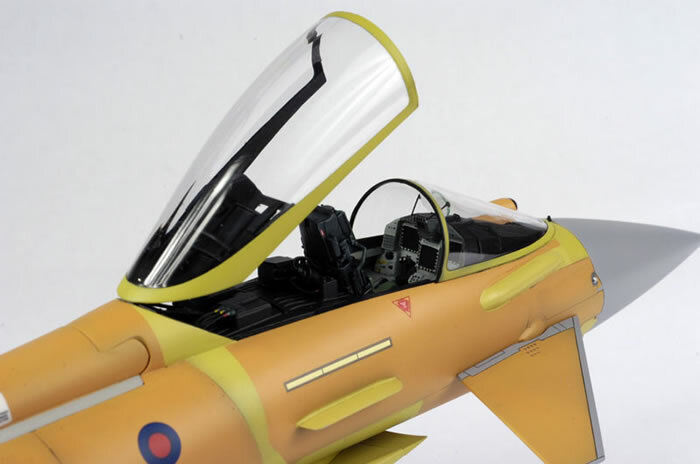 The markings came from an Xtradecal Tornado sheet for the roundels and fin flashes while the kits own decals provided the limited stencilling. 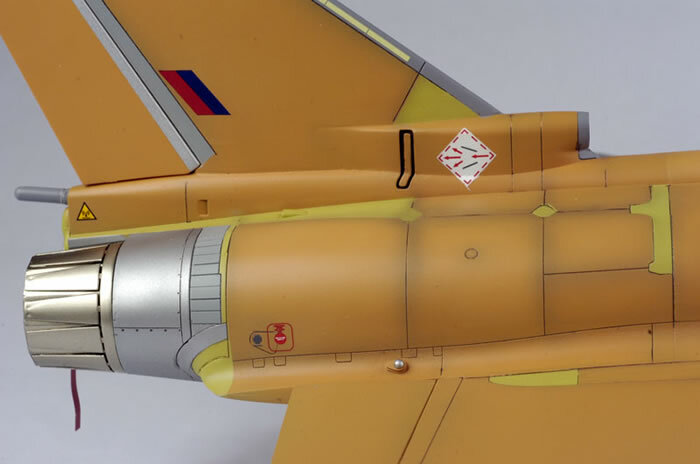 The hot air warning markings were on the kit sheet in red and blue from the German colour scheme and these were applied to the sprayed on white diamonds. There was no equivalent for the Airbrake warning so I had to use the pink and grey RAF ones. This took about 50 hours to get from primer through paint and finish and that was mainly due to the amount of masking involved, I used up almost 2 rolls of Tamiya tape and a block of post-it notes. There are a lot of different shades applied to the paint to get the unfinished, uneven look. The panel lines are also post shaded to help break up the large areas of solid colour. The kit is huge and takes a lot of paint, 3 bottles in total, two orange and one chromate. The end result is pretty striking and I’m very pleased with it. 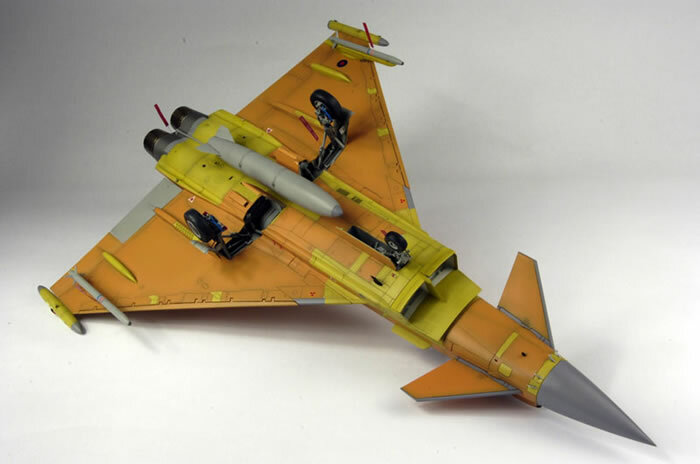 I built this for a friend and it’s now gone into to his model aviation collection. 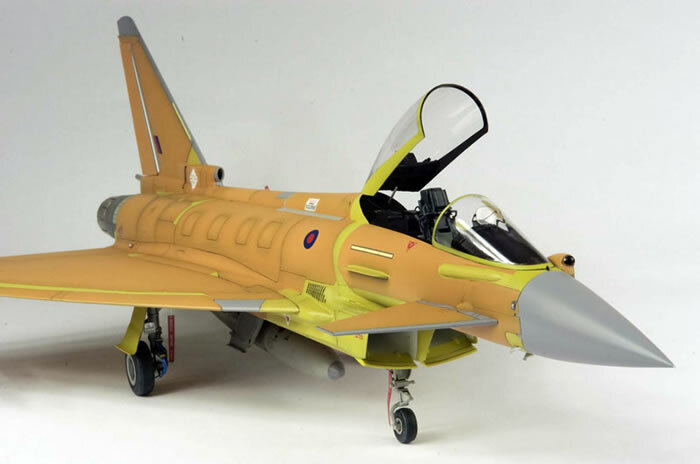 I was building this along with a conventional grey one for Model Airplane International and photos of this have appeared on Hyperscale already. 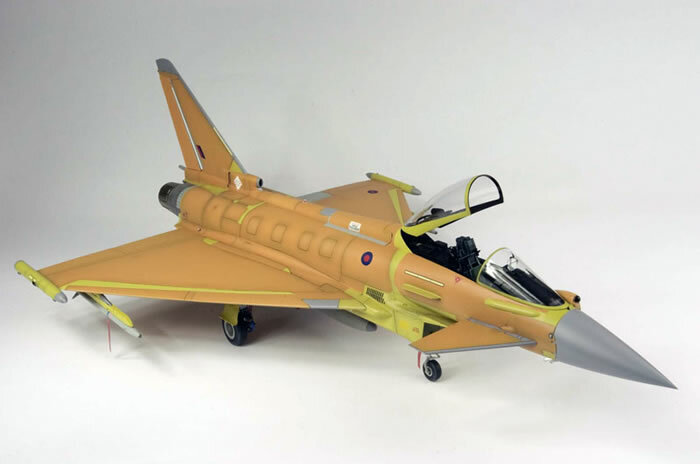 Full details on the build will be in Model Airplane International magazine soon.